Outback Australia: Sparks go flying with long range fuel tank. 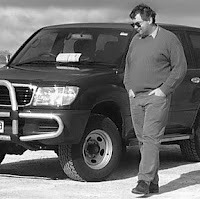 The shocking truth of a leading 4WD after market supplier that put our life's at risk. For anyone that has done any serious off-road traveling, it's easy to justify a few new gadgets for your 4WD. And yes, I promptly had new springs and shockers fitted, a snorkel and a long range fuel tank installed to my new Toyota 100 series Landcruiser in 2001. Before I give you the full story on a potential time bomb of a fuel tank, here's a brief background. A date was set with ample time for the selected 4WD specialist TJM to obtain all the parts to fit out my new 4WD vehicle. That day came and on picking up my vehicle it was clear that the 4WD specialist TJM was eager to finish the day's trading so on paying I was whisked out to my car with their workshop roller door closed behind me. My thoughts turned to "did they give me my keys" as the last of the employees drove away. Scrambling through my pockets, I laid my hands on my keys. With car unlocked, seats and mirrors adjusted, car started, I am back in control .... or ....was I? On departing the premisses and turning into peak hour traffic a dreadful crunching noise from under the car was heard but I was committed to keep moving. A rapid exit down the first side street was made to checkout that noise and a very rigid ride. On closer inspection the drivers side front springs was not fully located in lower spring recess and the rear bolt protector shields fitted to the shockers preventing any travel. So out with the tools and 30 minutes latter all fixed and on the go again. A few weeks later a group of fellow travelers where on the way for a desert crossing and to explorer the far north of South Australia. While leaving Adelaide, I switched over to the new fuel tank and suddenly the engine died, so quickly flicking back to the standard tank, the engine came alive again. Just what I wanted at the start of a desert crossing trip. So during a morning tea stop at Crystal Brook a fellow traveler with a keen interest to crawl under my car discovered the the fuel hose connection had come apart as the locking ring as fitted to this model was not pushed in place. So further rework and a stop at the petrol station to reload 70 litres of lost fuel. While on the desert crossing, a rattle from the front drivers side of the car was identified and months later the 100mm diameter cutout from the fitting of the new snorkel was discovered trapped inside the fender area but free to bounce around to damage the protective coating on the internal steel body. This resulting in the internal steel work being repainted at my expense. On discovering the cutout I approached the owner of the local Adelaide TJM store to express my disappointment of the workmanship when fitting spring, shockers, fuel tanks and air inlet snorkel. And Yes!...it fell on deaf ears. "Oh No! that could never happen" even while I was holding the 100mm diameter cutout in question. The long range fuel tank proved to be an ongoing source of issues with filling leaks, hoses clamps not tighten or even fitted, welding wire from the tank construction caught-up in the submerged fuel pump as the supplied inlet filter was broken, internal tank baffles breaking away to name only a few. The real surprise came when I had my own machine take over an ongoing development when switching over to the long range tank. It seemed like the fuel pump which by the way is submerged in the tank was only operating at a lower pressure, starving the engine when throttling was required under load. My mechanic tested the fuel pressure and hoses to ensure not leaks. Even the main filter was changes just in case that was causing some restriction. But it made no difference once the car was on the road and under load again. Twisted power cable to fuel pump. Blackened from shorting out. So out came the tank again. Not an easy feat, as fuel needs to be removed and a array of securing bolts removed and rubber hoses that appeared almost imposable to access had to be removed. While friends and fellow travelers have been amused by the antics around my fuel tank....What's to follow will surely shock You. The makers of this tank supply all the necessary parts to retrofit the existing vehicle's float assembly and fuel pump to take into account the new depth of the long range tank.... including new hoses, electrical wires etc. On opening the tank it was clear what the problem was. 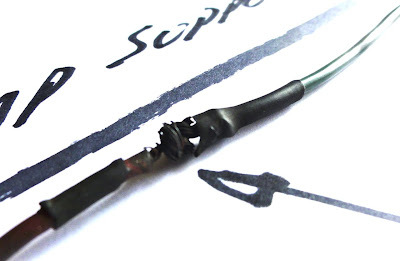 An electrically blackened area on the pump support frame adjacent a twisted together bear electrical power cable for the fuel pump. That's right, over months of driving around this cable had been shorting out inside a petrol filled tank. Without question this was the cause of the go / no go fuel delivery. Now you maybe thinking, surely it would have exploded with huge distraction after all that's nearly 300L of petrol on-board. You would be right if the tank had oxygen to fuel an explosion but it's mostly petrol fumes so no BIG BANG! But it's a different story when its near empty and I was so lucky not to have gone up in a BIG BANG. There it is, ..... A So Called 4WD Specialist, TJM, twisted two wires together and considered that's a safe solution within a fuel tank of volatile liquid. The next mistake was the wire used by TJM was not designed to be used with petrol so the insulation harden and cracked. The heat sink tubing used to hide the deadly workmanship was also not resistant to petrol hence it broke down and allowed the twisted bear wire to arc to the tank. 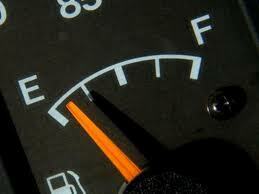 I do hope that this is the last adventure of this fuel tank. To TJM, too many mistakes to be acceptable and I trust no one has or will be injured by the lack of staff training, management responsibility and general care to safety that you have shown to me and my family.